Very good story but the sound? And you call it 'digitally remastered'. You a free being disrespectful to a great and legendary comedian. Loved hearing Joan Rivers story, right up to the end when she finally made it to Carson. 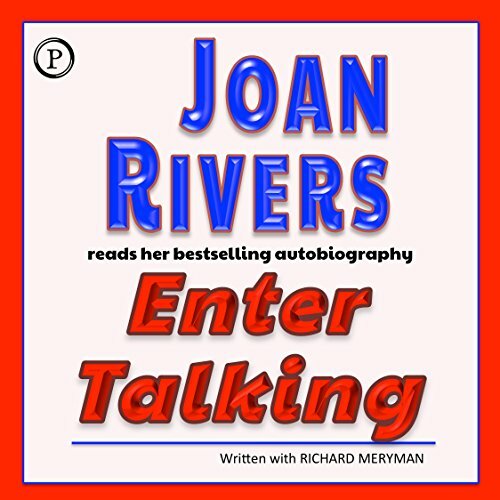 As always, it's great listening to the narration in the authors voice, I've listened to quite a few books by Joan. Only complaint; the audio was really muffled and almost inaudible in places, had to turn the sound up LOUD to have a clue to what was being said. Aside from that, excellent! The emotion in Joan's voice elevates the content. You will be routing for her the entire book! Long live the fabulous talent of Joan Rivers. Joan Rivers is truly amazing! Her poignant words and heartfelt retelling of her story warmed me deeply. How poetic that I should hear her first book for the first time on the 3rd anniversary of her death...and what a true shame it is that Joan isn't still with us. I cried with her at the end, and I look forward to my next book by Joan.